I never thought I’d like using an eBook reader, since I have always like the heft and feel of actual books. But after using a backlit eBook reader for a few months, and then reading a conventional thick paperback, I realized that I am a convert after all. The advantages of using an eBook include a thin, lightweight and easy-to-hold-while-lying-down shape; being able to read in all lighting conditions if you get one with a built-in dimmable backlight; and changing the size of the print as need be. Add the ability to buy the next book in a series just by clicking on a WiFi-connected eBook’s ‘Buy’ feature, and I will never go back to paper again. As for a recommendation: Kobo’s Glo HD eBook comes with a 6-inch touchscreen; with an anti-glare screen that can be read in direct sunshine and a backlight for reading in utter darkness. 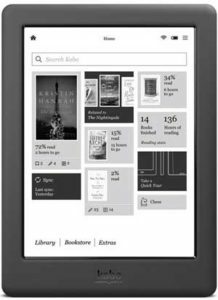 Offered through Canada’s Indigo books, the Kobo has access to over 4 million books—yes, 4 million!—and can run for up to two months on a single battery charge. $129.99 at www.chapters.indigo.ca and worth every penny. Or nickel, since pennies have been phased out! If you want to keep an eye on your home or office while you’re away, then consider getting a Nest Cam. This 1080p HD colour video camera lets you access its 24/7 live stream on your smartphone, tablet, or Internet-connected computer/TV, and comes with a night vision setting that lets Nest Cam see in the dark. As well, Nest Cam’s sound and motion sensors can trigger the system when an intruder enters; sending you a live alert wherever you may be. 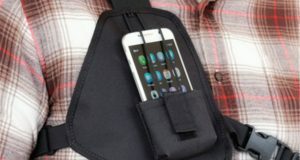 (This lets you decide whether you need to call the police, or whether a wandering cat somehow got in.) 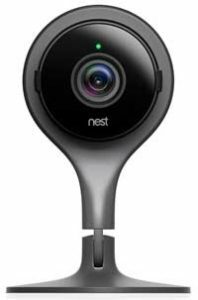 Nest Cam features a 130° wide-angle view that really takes the room in and captures audio to boot. If you sign up for the company’s Nest Aware with Video History service (payment required), your video will be saved online for later access—and the camera’s software can be set to filter out sunlight and car headlights to minimize false alarms. Nest Cam can even be trained to ignore background noises like a running fan, but to send you an alert when the doorbell rings. $199 at https://store.nest.com. Finally, a word about Bell’s Fibe TV service. I have just switched to Fibe from Bell Satellite, and in general like it better. The pros: Unlike satellite (and cable), the HDTV signals carried on Fibe have not been “compressed” to reduce their bandwidth size. (Cable and satellite only have so much space to squeeze in channels, though content providers strip down these signals to shoehorn more in.) This means the HD signals you see on Fibe are actually HD. (If you want to see actual HD and you’re on cable/satellite, plug an antenna into your HDTV and tune to CBC. The better picture will wow you, because over-the-air signals are also not compressed.) I also like Fibe’s free on-demand service for popular TV shows, which come with minimal ads inserted. This is good, because you can’t hit the Skip feature during such programs. This is a fast way to access favourite shows that you missed live and forgot to record. On the downside: The Fibe service only carries three HD and one SD (standard definition) TV signals to each home; no matter how many TVs you have on the system. If you are accustomed to recording two or more HDTV shows to PVR while watching two more live on two different HDTVs, you’re out of luck. Thanks to Fibe’s limits, one of these feeds will be in SD. And if you were used to having three TVs watching live while recording shows on each of their PVRs, forget it: Fibe can’t do this, and there is apparently no way to get an extra Fibe service into the same home to add capacity. I spoke at length with Bell Fibe about this limit, and there seems to be no way around it. So if you need more than four HD feeds coming into your home for live viewing and simultaneous recording, don’t make the switch.